First up Macbeth is probably my favourite Shakespeare play. It’s short by Shakespeare standards. It’s filled with memorable lines. I’ve never seen one that is as dark and creepy as I’d make it were I to be a director, but I’m not and we’re not hear to listen to my ideas. To – sort of steal a line from elsewhere – I come to praise Macbeth, not to bury him. Directed by Kit Monkman this is a fine production. It uses new technology – CGI – to create a world through which the camera moves like a time-travelling observer. This Macbeth happens inside a globe. The camera dance through this globe allowing us a glimpse of what has happened and what is to be as it seeks out the newest scene. It manages to feel both cinematic and theatrical at the same time, which is some achievement. Monkman plays with the text, which is often a bugbear for me, but none of it really irritated me, although I think moving Macbeth’s ‘Tomorrow’ speech from immediately after Lady Macbeth’s death to the end of the film is a mistake. That speech is trigger by her death. It’s an admonition to her as much as a musing on mortality, “She should have died hereafter”. It’s one of the great speeches in all literature. I don’t think you should throw it away. But that’s purely personal. The director’s reasons – given in the interview you can read elsewhere on this site – are his reasons. He does add a fine touch at the end though, which I like and won’t spoil. It’s not in the play itself but it feels ‘right’. He also cuts the Porter, who often gets dropped despite having a rather lovely rambling monologue and a prototype knock-knock joke but uses him as a sort of framing figure. He sits watching an old, silent film version of Macbeth in his little cubby-hole. This is a physical and sexual Macbeth. You can feel how attracted to each other that the Macbeths are. One of the interesting things about Macbeth is that this is the story of a couple who love each other. Even at the end Macbeth asks the Doctor to do what he can to restore his wife to health. Is it ambition that destroys them? Perhaps. But they’re pushed into their ambition by the Witches. Would Macbeth have tried to seize the throne if they hadn’t nudged him along? He certainly doesn’t seem to have the courage to do so until Lady Macbeth reminds him of what his prediction. Macbeth is a story of blood and sleep. Blood will have blood. After the murder Macbeth raves about hearing a voice cry that Macbeth has murdered sleep and Lady Macbeth comes, famously, to sleep-walking. Her conscience leading her to try to rid herself of the old man’s blood. Something she might never have had to see if Macbeth hadn’t panicked and bought out the daggers with which he had killed the King rather than leaving them with his stewards as they’d planned. Macbeth’s mistake sows the seed for Lady Macbeth’s breakdown. Macbeth is in blood stepp’d so far. The performances are in pretty good. There’s a little lack of poetry, but this seem to be a common complaint about modern Shakespeare. 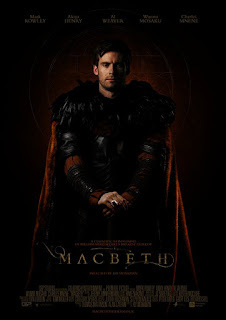 Mark Rowley’s Macbeth is a good man led to bad deeds. He does a fine job of communicating Macbeth’s fall. He looks not unlike Chris Hemsworth. Akiya Henry though is a superb Lady Macbeth. She delivers the ‘Out Damn Spot’ speech beautifully but throughout she’s fantastic. The best performance in the film. Strong support comes from Al Weaver as Banquo, Kelly Burke as Lady Macduff (who gives her scene real power), Charles Mnene as Macduff (who gets the line I always look out for in productions of Macbeth: ‘All my pretty ones’. One day I’ll explain why) and Alan McKenna as Ross. The Thane of Fife had a wife. What happened to her? What happens to us all. We strut our stuff upon the stage and then are heard no more. Macbeth is an astonishing play about politics, marriage and the price we pay for ambition. It’s bloody and heart-breaking and this film does it justice. Give it a watch. 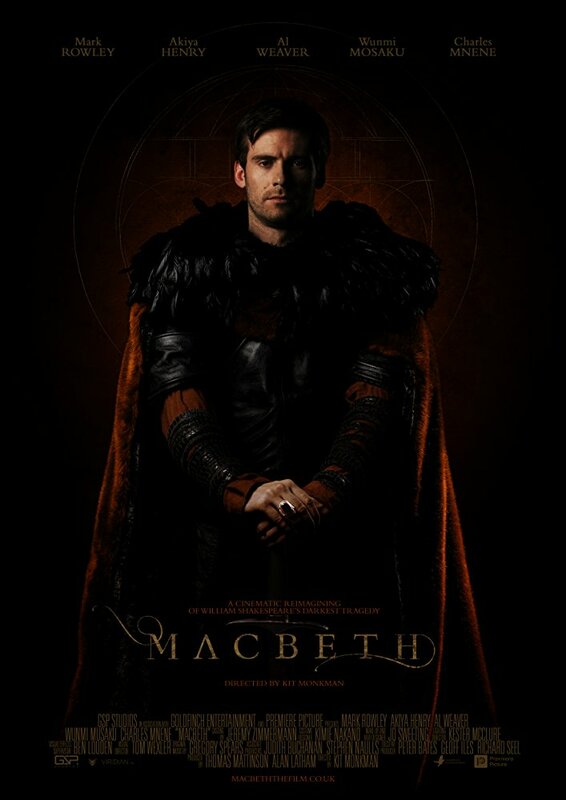 The digital release of Macbeth will be available from 23rd April, the anniversary of the day Shakespeare was born and died.